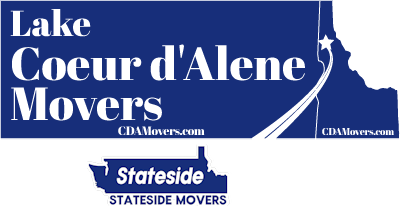 At Stateside Movers LLC and our Lake Coeur d'Alene Movers location we have a low overhead in comparison to the national moving companies and can typically beat a national moving company by quite a bit on cost. 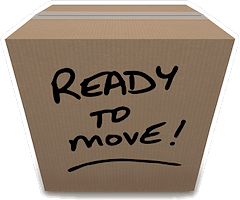 We can arrive with 1 or more 26' full size box trucks for your move. 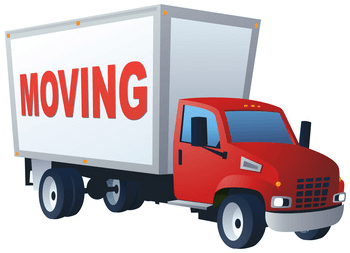 If the distance is short (a local move), we can save you money by bringing one truck and then doing a second or even a third trip if needed. We do not bill on the weight of a load as many of the national moving companies do. Instead, we use a simpler formula that leaves no room for a moving company to take advantage of a customer on reported weight vs actual weight. § 375.207 What items must be in my advertisements? (a) You and your agents must publish and use only truthful, straightforward, and honest advertisements. (1) Your name or trade name, as it appears on our document assigning you a U.S. DOT number, or the name or trade name of the motor carrier under whose operating authority the advertised service will originate. (2) Your U.S. DOT number, assigned by us authorizing you to operate as a for-hire motor carrier transporting household goods. (c) Your FMCSA-assigned U.S. DOT number must be displayed only in the following form in every advertisement: U.S. DOT No. (assigned number). What actions may I take to collect the charges upon my freight bill? (a) You must present a freight bill within 15 days (excluding Saturdays, Sundays, and Federal holidays) of the date of delivery of a shipment at its destination. (b) The credit period must be seven days (including Saturdays, Sundays, and Federal holidays). (1) You must automatically extend the credit period to a total of 30 calendar days for any shipper who has not paid your freight bill within the 7-day period. However, for charges for impracticable operations that are not collected at delivery, you may not extend the credit period beyond 30 days after you present your freight bill. (2) You will assess a service charge to each individual shipper equal to one percent of the amount of the freight bill, subject to a $20 minimum charge, for the extension of the credit period. You will assess the service charge for each 30-day extension the charges go unpaid. (3) You must deny credit to any shipper who fails to pay a duly-presented freight bill within the 30-day period. You may grant credit to the individual shipper when the individual shipper satisfies he/she will promptly pay all future freight bills duly presented. What is my normal liability for loss and damage when I accept goods from an individual shipper? (a) In general, you are legally liable for loss or damage if it happens during performance of any transportation of household goods and all related services identified on your lawful bill of lading. (b) Full Value Protection Obligation - In general, your liability is for the household goods that are lost, damaged, destroyed, or otherwise not delivered to the final destination in an amount equal to the replacement value of the household goods. The maximum amount is the declared value of the shipment. The declared value is subject to rules issued by the Surface Transportation Board (STB) and applicable tariffs. (c) If the shipper waives, in writing, your liability for the full value of the household goods, then you are liable for loss of, or damage to, any household goods to the extent provided in the STB released rates order. Contact the STB for a current copy of the Released Rates of Motor Carrier Shipments of Household Goods. The rate may be increased annually by the motor carrier based on the U.S. Department of Commerce's Cost of Living Adjustment. (d) As required by § 375.303(c)(5), you may have additional liability if you sell liability insurance and fail to issue a copy of the insurance policy or other appropriate evidence of insurance. § 375.203 What actions of an individual shipper may limit or reduce my normal liability? (a) If an individual shipper includes perishable, dangerous, or hazardous articles in the shipment without your knowledge, you need not assume liability for those articles or for the loss or damage caused by their inclusion in the shipment. If the shipper requests that you accept such articles for transportation, you may elect to limit your liability for any loss or damage by appropriately published tariff provisions. (b) If an individual shipper agrees to ship household goods released at a value greater than 60 cents per pound ($1.32 per kilogram) per article, your liability for loss and damage may be limited to $100 per pound ($220 per kilogram) per article if the individual shipper fails to notify you in writing of articles valued at more than $100 per pound ($220 per kilogram). (c) If an individual shipper notifies you in writing that an article valued at greater than $100 per pound ($220 per kilogram) will be included in the shipment, the shipper will be entitled to full recovery up to the declared value of the article or articles, not to exceed the declared value of the entire shipment.